let me start this off by saying i am shocked that a list of this nature is coming out now when we are approaching the midway point of baseball season. i waited for Baseball Tonight's Top 100 to be released during spring training for weeks, to no avail. apparently, MLBRank's list is the replacement and i was not expecting it. out with the old, in with the new i guess. in any case, i apologize for the lateness of this post. MLBRank was formed as a result of ESPN collaborating with Microsoft Research and The Wharton School. a panel containing 65 ESPN experts (down from 70 last year) was polled over seven days in June based on a list of 167 Major League players (down from 350). these experts--comprised of MLB writers, analysts, contributors, and Insiders--considered both the quality and quantity of a player's contributions to his team's ability to win games as they voted in thousands of head-to-head matchups. 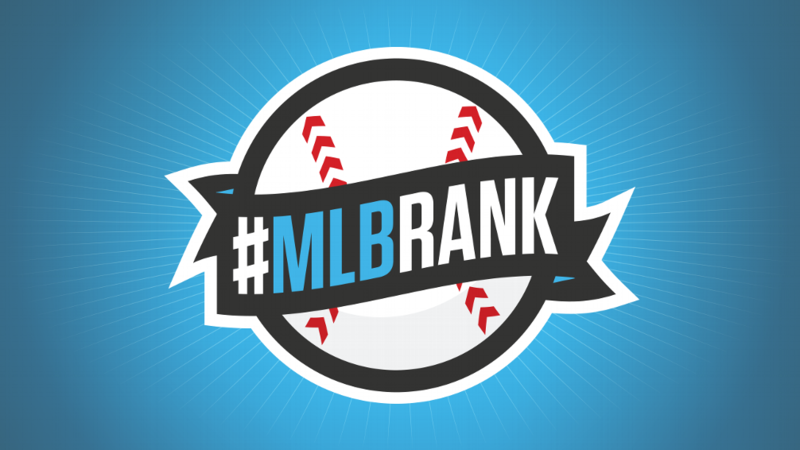 today, on June 26, MLBRank's Top 100 had Michael ranked as the 81st best player in baseball right now. i'm not surprised Michael falls on the early portion of the countdown given that he practically missed all of 2016 due to shoulder and biceps issues. had this list been constructed during spring like it normally is, Michael may not have made it at all because no one knew for sure if he'd even be able to return, let alone what kind of player he would be when he returned to the field. so them voting in June probably helped Michael here in terms of merely getting on the list, because 2017 season stats were not part of the criteria. still, this is his worst ranking since he's been on any of ESPN's Top 100 lists and i think he should have been ranked somewhere in the #80-61 range. going into 2016, BBTN ranked Michael 80th and MLBN ranked him 31st. going into 2015, BBTN ranked Michael 43rd (in his Top 100 debut) and MLBN ranked him 21st (debut). going into 2014, BBTN did not rank Michael on the Top 100 and neither did MLBN. so you can see how ESPN has always undervalued Michael compared to MLB Network. and it's not only Michael--this typically happens with the other Cleveland Indians players as well. and that's why i personally encourage anyone seeking baseball information to get it from MLBN because, again, all their focus is on baseball and they know what they're talking about. Jason Kipnis ranked 95th (vs. 76th on MLBN's list). last year, BBTN ranked him 66th. Edwin Encarnacion ranked 69th (vs. 26th on MLBN's list). last year, BBTN ranked him 38th. Carlos Carrasco ranked 51st (vs. 75th on MLBN's list). last year, BBTN ranked him 79th in his debut. Andrew Miller ranked 36th (vs. 38th on MLBN's list). last year, BBTN ranked him 52nd. Corey Kluber ranked 29th (vs. 25th on MLBN's list). last year, BBTN ranked him 34th. Francisco Lindor ranked 11th (vs. 19th on MLBN's list). last year, BBTN ranked him 65th in his debut. note: Carlos Santana did not rank on this list (vs. 93rd on MLBN's list), nor did BBTN rank him last year. as usual, ESPN has several Indians down many spots on their list when weighed against MLB Network's list. and honestly, now that we're about three months into the season already, some of these rankings look really bad. (sorry, but Frankie's performance thus far does not warrant a spot at #11.) but congratulations to Michael and all the Indians who made it on this year's Top 100 anyway! it's an honor just to be mentioned; now go prove those ESPN "experts" wrong and do BETTER! the full list of MLBRank's Top 100 Players Right Now can be found here. really the lone similarity between the two Top 100 lists comes from the inclusion of position players and pitchers from both the American and National Leagues. there's a large pool of guys to choose from to rank and that generally causes annual disagreements over the results. so what are your thoughts? were there any snubs? did MLBRank place someone too high or too low on their list? and do you, like me, prefer MLB Network's Top 100 over this one? let me know in a comment below! MLBRank also posted that it will be unveiling their Top 10 players by position on June 30. i am extremely interested to see where Michael is ranked on the Top 10 Left Fielders list. ICYMI: a few hours ago, Michael was activated from the 10-Day DL after healing from a right ankle sprain. he is scheduled to start in left field in tomorrow night's game versus the Texas Rangers and bat 3rd. be sure to follow me on twitter @clevelandgirl23 for info about all his plate appearances and other news regarding Michael throughout the rest of this season! do you like email alerts? cause if you do, then you can sign up for my subscription list to receive notifications every time i publish a new blog! simply enter your address under the Blog Archive sidebar over on the right side of the page and you'll be all set!